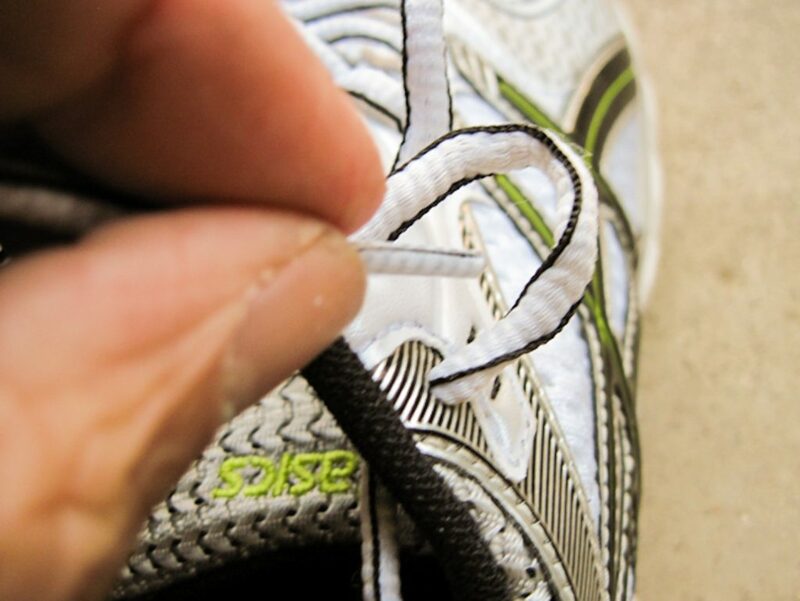 Tying your shoes the normal way is fine for normal footwear, however tying running shoes the same way will lead to early fatigue. 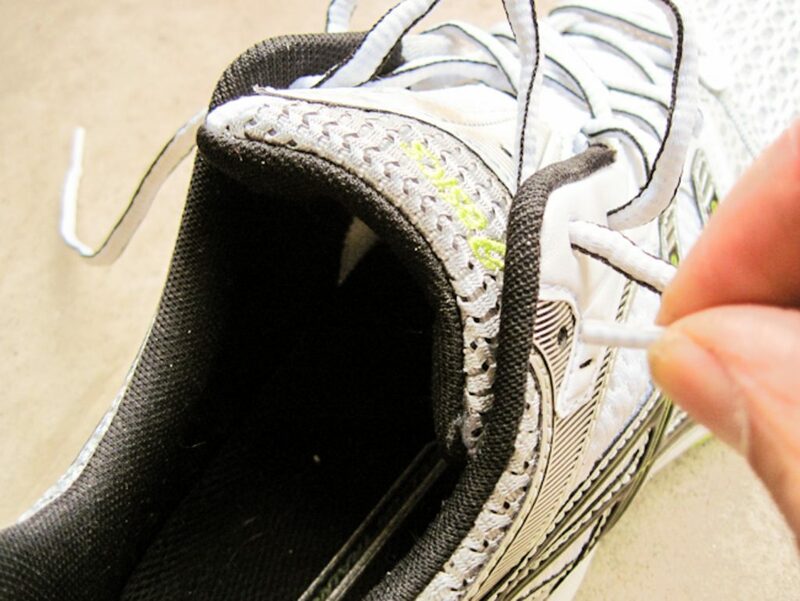 How you tie your running shoes is more important than how tight they are tied. By following these simple steps your foot will be more snug and wont move around and at the same time have less pressure on the top of the foot. The normal method of tying shoes will partially restricts the blood flow. To illustrate this point, take a look at the back of your hand. You may be able to see the blue veins. Those are the veins that carry de-oxygenated blood from your hands, back to your lungs for a fresh supply of oxygen. Your feet are built in the same fashion. Common practice is to tie the shoe nice and tight, so the shoe will not slip around. Unfortunately, this puts pressure on top of the foot which in turn is the cause of the restricted blood flow. Our goal is to keep the foot snug and at the same time keep the blood flowing smoothly. 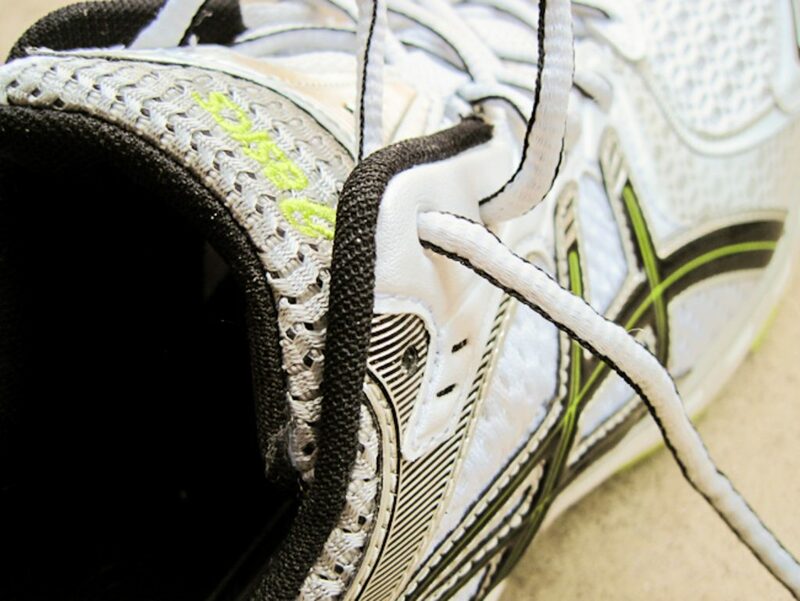 So, how do you properly tie your running shoes? Then create a loop about the size of your finger. Repeat the process on the left hand side. Cross the lace from one side and insert lace in loop. 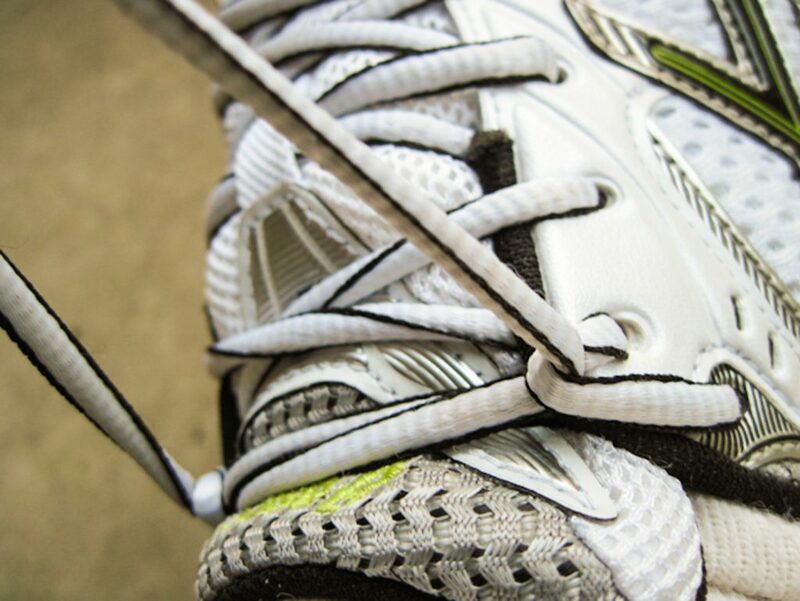 Pull up strong on the laces. Then just tie your shoes in the normal manner. Avoid tying the over-hand knot too tight. Notice how the pressure is now wrapping around the foot. This helps take pressure off the top of the foot. 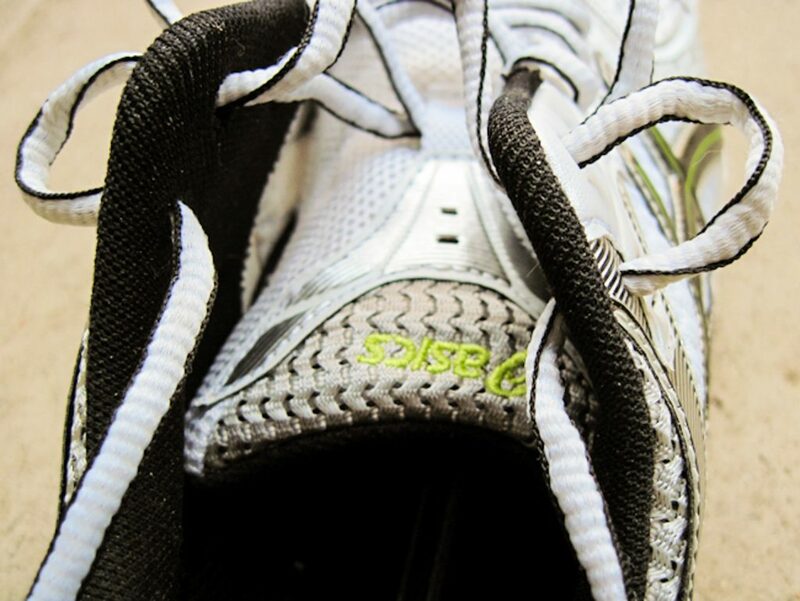 Many manufacturers do not make the laces long enough anymore to accommodate for runners who do not tie their shoes properly. 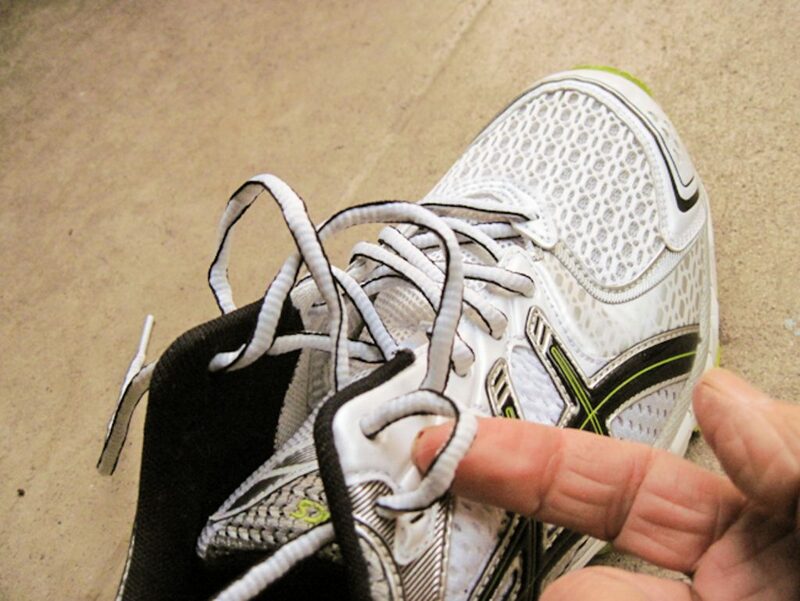 If the lace is to short, do not overcompensate by tying the shoe lace to tight. It may be required to purchase longer laces.